Homeowners can choose from several types of domestic refrigerators, including those that are top freezers, side-by-side and bottom freezers. No matter the size or shape, you might not expect a gurgling sound to emanate from anywhere on the appliance, as even water dispensers have a smooth-sounding flow into a cup. However, gurgling noises are common in refrigerators, and most of the causes and reasons are a part of the machine's normal operation. Still, you can identify the source of these gurgling noises and reduce or mitigate some of these issues without the need for any major fixes or repairs. 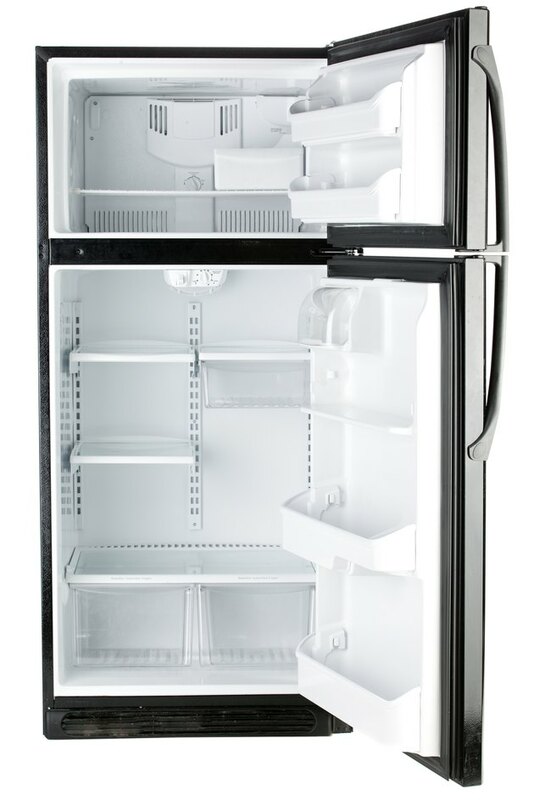 Opening and closing the doors on the refrigerator can create gurgling sounds. Check the water valve on the back of the refrigerator if it has an ice maker. Make sure the valve is turned completely on and not constricting the flow of water to the refrigerator via the water supply line. You might also hear a simultaneous buzzing sound when the gurgling noise occurs. In some refrigerator models, this filling process is on a timer, and you might hear the buzzing and/or gurgling every 15 minutes or so. Check the water supply line for leaks or damage. You might see a puddle of liquid on the floor. If air is pulled into the water line as the refrigerator is pulling in fresh water, that can create a gurgling noise. Replace the damaged hose yourself, or contact an appliance repair technician for assistance. Place your hand on the door or side of the refrigerator to feel a slight vibration. This is probably the compressor processing the refrigerant, which is a liquid. This flow of refrigerant can produce a gurgling sound, and it is normal. However, a simple way to reduce this noise is to make fewer trips to the fridge. When you open the door, you let hot air in, which means the compressor has to work harder (and gurgle the refrigerant more) to cool things back down. 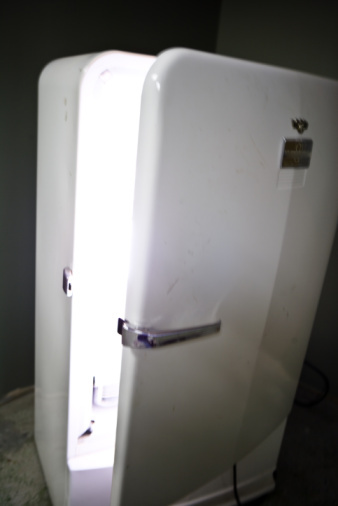 Wait while the refrigerator completes its defrosting cycle if you hear water dripping and gurgling in the freezer area. When the heating coil turns on, the melted water from the frost flows down to a drain pan for evaporation to take place. The defrost process usually takes about 30 minutes. This is automatic and cannot be prevented in most refrigerators. Keep the doors closed to try to prevent unnecessary frost buildup. Wait while the water equalizes in the refrigerator if you hear a gurgling sound when shutting the door. This is normal and is a result of air being forced through the drain tube. The gurgling can last several seconds but should eventually dissipate. Why Does My Refrigerator Have a Loud Hum?